The fear of the lifeless, bloodsucking creature that is the Vampire has been around for thousands of years. The legend of the Vampire is said to have originated from the Slavic regions of Eastern Europe, however belief in vampires can be found all over the world. 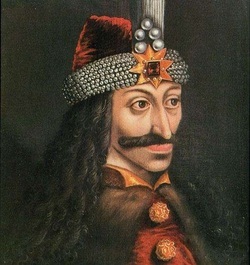 The legend may have been based on the life of Vlad the Impaler, a notorious ruler of Walachia--now a part of Romania. In the 15th century he was reputed to have brutally killed thousands of people. He has been immortalized and became the inspiration for Bram Stoker's 1897 novel "Dracula".